Gentle reminder, the big spring Craftsy sale ends this Sunday night. Don’t miss out! Get any Craftsy Class for under $20! I just wanted to remind everyone that the big spring Craftsy sale is still on until midnight Sunday night (US Mountain Time). This is a great opportunity to save on that class you always wanted but thought was too expensive. On some of the larger classes, you can now save over 70%! 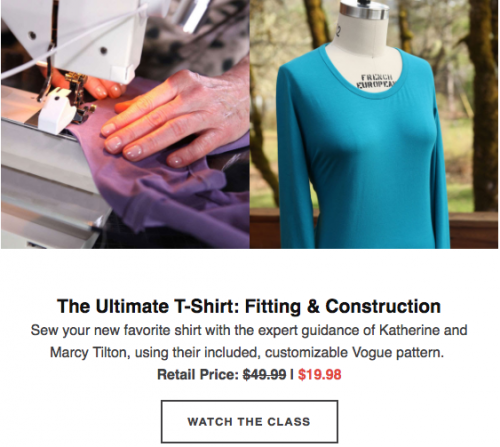 As you know, many of our readers are great fans of Craftsy and this sale is particularly attractive for anyone planning to buy more than one class. There will probably be future Craftsy sales, but they rarely offer this much savings and are often limited to only one class. You may want to act now since the offer expires Sunday, May 7, 2017 at 11:59PM Mountain Time. 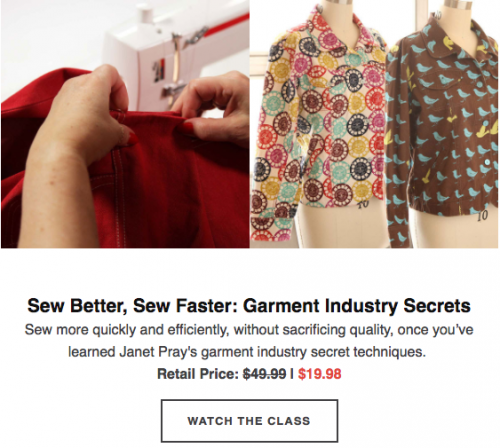 This sale is particularly attractive for anyone waiting to buy any of the more expensive Craftsy classes or if you want to buy more than one class. There will probably be future Craftsy sales but they rarely offer this much savings and are often limited to only one class. You may want to act now since the offer expires Sunday, May 7, 2017 at 11:59PM Mountain Time. Terms: $20 and under class offer is in USD. Not valid for classes from our special Startup Library series or classes from our partner, The Great Courses. This sale ends at 11:59 PM MT on May 7, 2017.